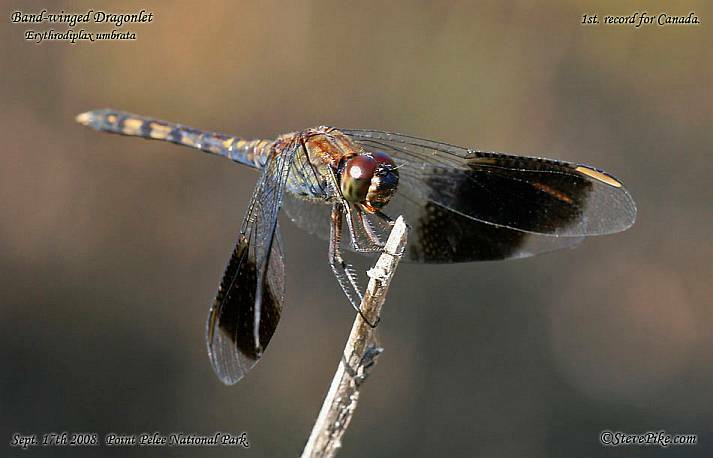 Wednesday, September 17: Steve Pike found a new species of dragonfly for Canada today. He photographed a Band-winged Dragonlet, Erythrodiplax umbrata, on the west beach of Point Pelee. This is a dragonfly normally found in Texas and Oklahoma but has been recorded as far north as Michigan and Ohio. The remnants of Hurricane Ike came through the area on September 14 after passing through Texas and Oklahoma the day before. 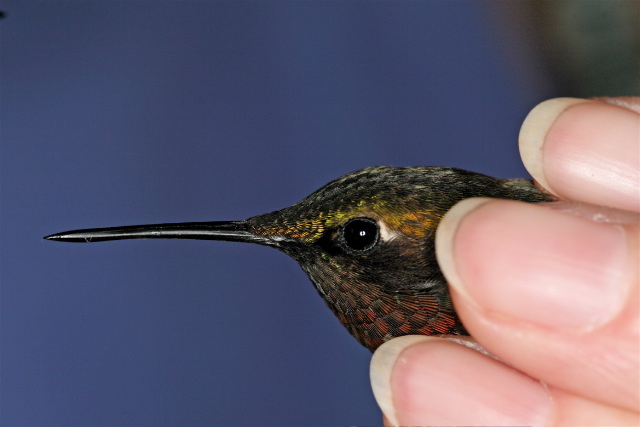 Saturday, September 6: Our Hummingbird Day was a great success. Carl Pascoe and Bob Hall-Brooks banded seven Ruby-throated Hummingbirds at the nature centre this morning and Carl gave an excellent presentation on hummingbirds to a packed room. Our feeders will remain up for the rest of the month and we have firecraker plants and Tropical Sage plants in the feeder area which attract good numbers of hummingbirds. Wednesday, September 3: Our first field trip of the fall was held today with a morning birding trip to Holiday Beach C.A. A highlight of the morning was watching an Osprey that liked to perch at the edge of the marsh by the hawk tower. Last year an Osprey used the same site for several weeks before heading further south. Perhaps this is the same bird? At one point the Osprey flew down and caught a Pumpkinseed fish close to the tower. 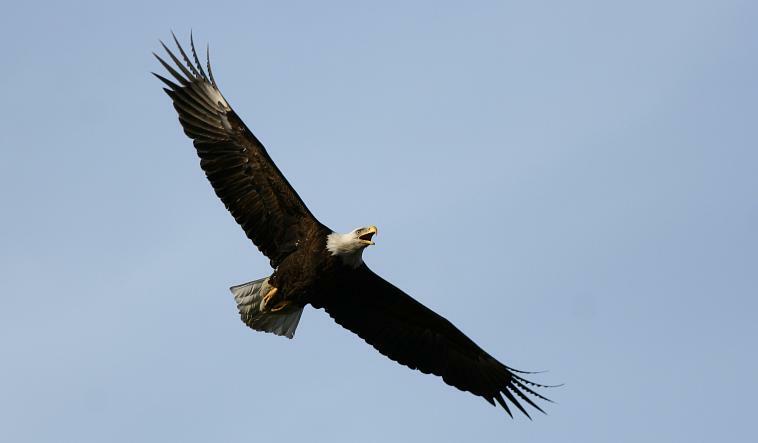 We had a chance to watch it return to its perch and enjoy the meal through the spotting scope.